Who said don't walk back alleys at night? Not this one. Do it! 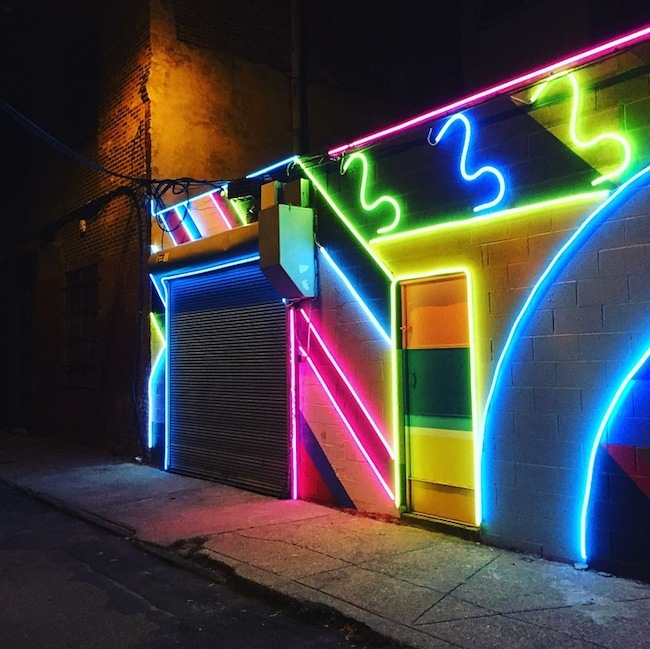 Go get lit because it's uber cool and watch…the neon lights change colors. Right down my alley! Where? Another one of Philly's winners. Located behind famous Pat's on Percy Street & 9th. It's known as The Electric Street, produced by Percy Street Project and artist Drew Billiau, David Guinn & Evan Wilson. Mural Arts Program funded the project, but they don't provide tours. Don't need it. It's easy enough to check out on your own. Go…and grab a Philly cheese steak sandwich form Pat's or Geno's while your at it. Double win!